Offsite was founded on the belief that corporate conventions are much more inspiring and productive when they take place in a creative space. 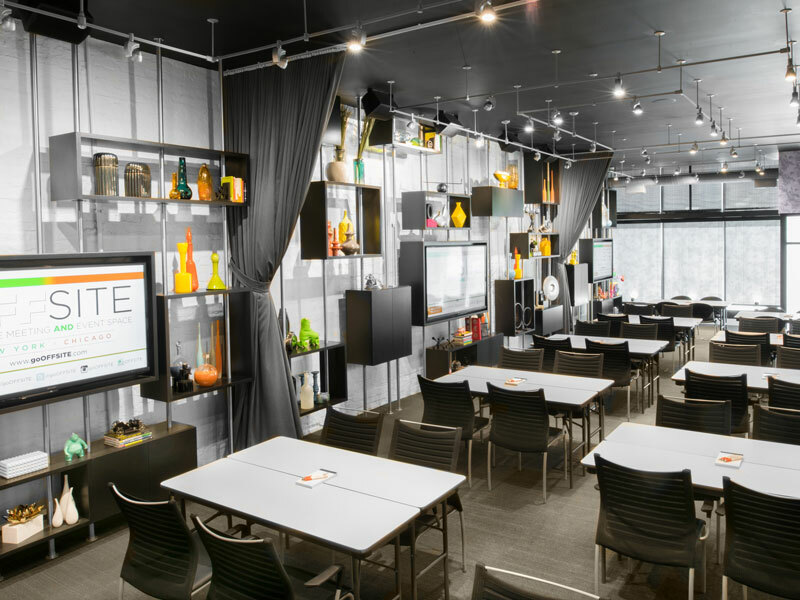 The all-inclusive venue, located in Chicago’s trendy West Loop district, caters for intimate meetings of up to 100 guests in a state-of-the-art artistic environment. Rentals include full tech support, customisable seating options, snacks, drinks and office supplies as standard, while all clients receive a dedicated event coordinator to ensure things run smoothly. Offsite’s Chicago location is its third in the US – it has two venues in New York City– with further expansion planned in the next few years.